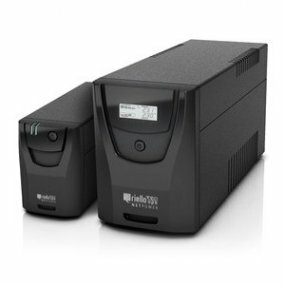 With prices as low as £43.00 + VAT NetPower includes 600-2000VA models and uses digital Line Interactive technology. The load is powered from the mains through an AVR (Automatic Voltage Regulator) to stabilise brownout, sag and surge voltages, and EMI (Electromagnetic Interference) filters to suppress spikes and transients. When the mains fails, the load is powered by the inverter with a pseudo sine wave to provide sufficient runtime for computer network shutdown using PowerShield³ software.